Elliott Wessel, Print Music Manager of Schmitt Music, shares 3 ideas on how your local Community Retailer can provide you with amazing resources. Nikki Loney, author of The FULL VOICE Workbooks, shares the importance of fun and exploration in teaching and inspiring Young Vocal Students. Composer Christopher Norton shares tips on how composing and improvising at the piano are easy when following this step by step system. 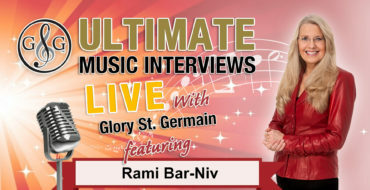 Rami Bar-Niv is a world class Concert Pianist and shares the secrets of Music Mastery in performance, improvisation and composition. Shelagh McKibbon-U'Ren is a master at Teaching Music Theory and shares tips on how to introduce music theory to young students. Jennifer Eklund Piano Pronto Composer shares why teaching POP MUSIC and not just the "same old" pieces will help your teaching business. What's a Chord Hacker? Learn how Tim Topham and Glory St. Germain from the "Inner Circle" teach piano students how to become a "Chord Hacker". Christopher Sutton shares how we can make ear training fun and easy for our students and how we can develop ear training skills. Carol Matz is a composer, arranger and piano teacher. Learn how to get started teaching students to improvise and develop pro piano skills. Roy Tan Master Pianist shares his story of success from learning music theory and piano to creating arrangements and performing around the world. Jessica Kos-Whicher - The Importance of Teaching Music Theory to voice students and why students should register for both theory and voice. Rosemary Siemens Violin Virtuoso & Successful Musician. What does it take to be a successful musician and be motivated in the "music business"? Sara Campbell - Upbeat Piano Teachers - Finding Your Teaching Style & Attracting Ideal Clients! Clients who are less than ideal can be a total drag.